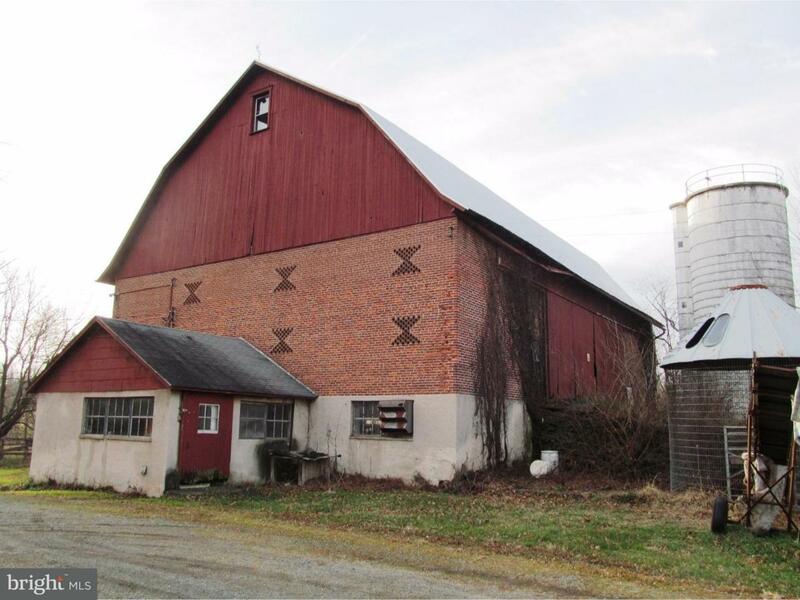 Many agricultural-related uses are possible on this amazing 123-acre property in the heart of Gilbertsville. 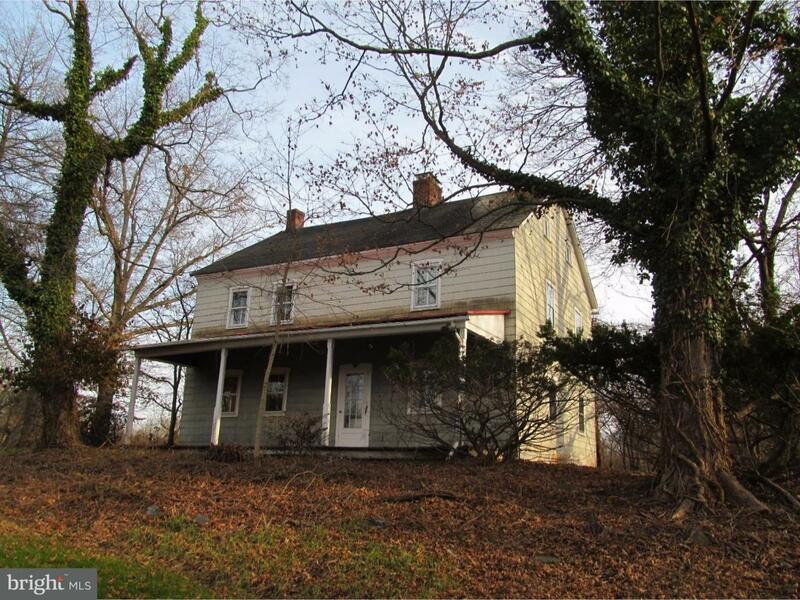 This marvelous property includes 123+ rolling, picturesque acres in western Montgomery County, convenient to Routes 73, 100, 663 and 422. The property was most recently used for dairy production. 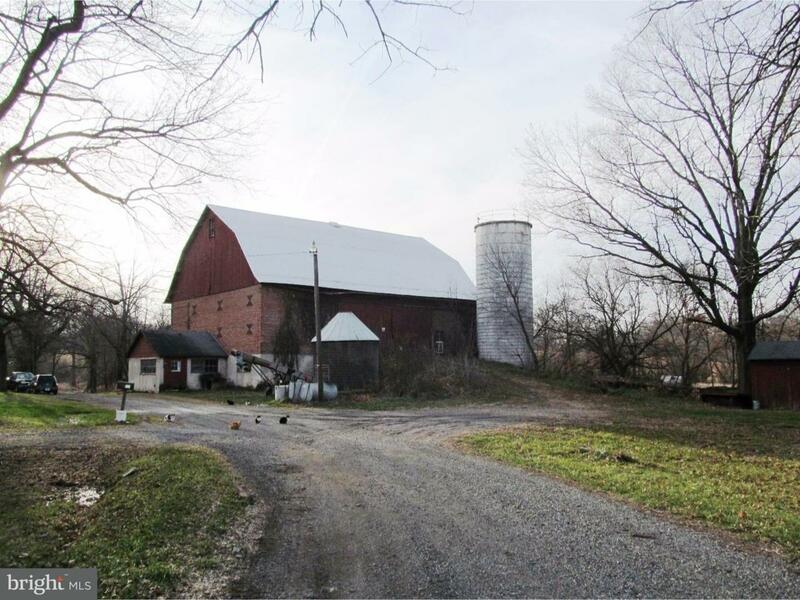 There is a 2 1/2 story farmhouse, a large brick bank barn, a 2-bedroom ranch-style residence, plus numerous outbuildings including an implement shed with shop, a milk house, silo, garage/shed, corn crib, and more. The ranch home is tenant-occupied. 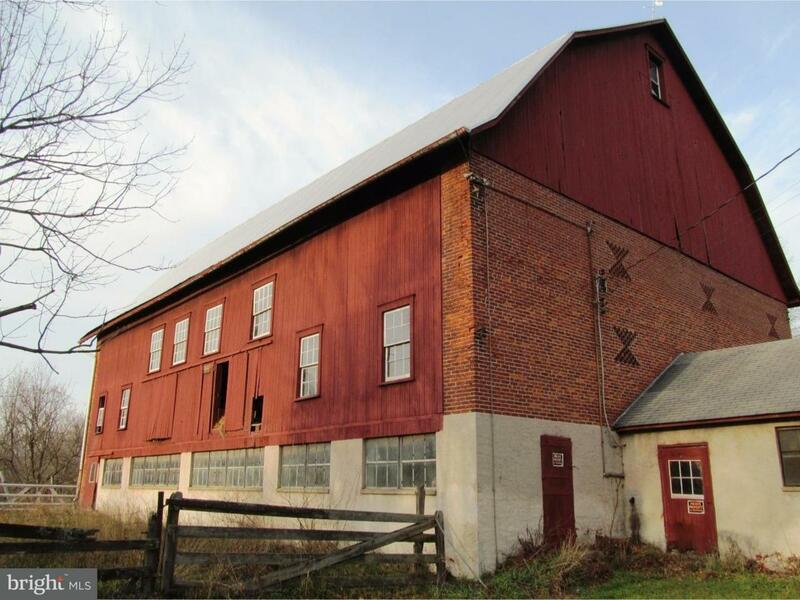 Subdividable into several parcels, the property is part of the Farmland Preservation program and is subject to an easement restricting development. A named creek also traverses the property.~The property is being offered 'as is,' with testing/inspections welcome, primarily for informational purposes. Green Remarks Active Farming Leases Are in Place And There is An Easement Allowing A Water Company Well.~Other inclusions include The 'Milk Tank' in The Milk House Adjoining The Barn.~A List Of Farm Tractors And Other Agricultural Equipment included is Posted As A Document As Are The Water Company Well Easements. The Leases:~80-Acres Leased For $1400/Year Hay Field For $1000/Year And The 2-Bedroom Ranch-Style Home For $800/Month.